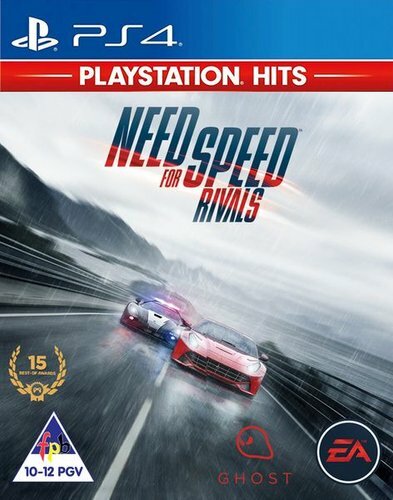 Need for Speed Rivals captures the adrenaline and intensity of the street's ultimate rivalry between cops and racers in a stunning open road environment. Built on the Frostbite 3 game engine, Need for Speed Rivals allows gamers play as either a cop or racer, where each side of the law has its own set of high stakes challenges, rewards and consequences. As a racer, the goal is to become infamous for taking risks behind the wheel and capturing your most intense escapes on video for the world to see. The more cops players evade, the more Speed Points they collect, enabling them to unlock new cars and items. Keep raising the stakes race after race to become an ever-more valuable target to the cops -- but risk losing it all if busted. As a cop, players work together as part of a team in pursuit of racers, earning prominence and rising in the ranks of the Police Force with every bust. Achieving higher ranks unlocks new police-only cars and more powerful pursuit tech. Next-Gen Racing - Redview County is brought to life with stunning, next-generation detail and weather effects that force drivers to master the elements, as well as the competition. Need for Speed Network Powered by Autolog - Gamers can compare stats and challenge their friends anytime, anywhere and then easily share their accomplishments with both friends and rivals. Personalization - Drivers customize their ride with fresh paintjobs, custom license plates, liveries, decals, rims, and performance upgrades. Pursuit and Evasion Tech - Street racing explodes with 11 upgradeable gadgets including turbo boosts, jammers and EMPs for racers, and shockwaves, roadblocks and helicopters for cops.